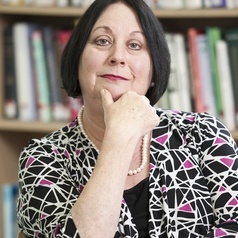 Louise Newman is Professor of Psychiatry and Director of University Centre for Women's Mental Health, Royal Women's Hospital. In January 2011 she was appointed as a Member in the General Division of the Order of Australia. She is a practising infant psychiatrist with expertise in the area of disorders of early parenting and attachment difficulties in infants. She has undertaken research into the issues confronting parents with histories of early trauma and neglect. Her current research is focussing on the evaluation of infant-parent interventions in high-risk populations, the concept of parental reflective functioning in mothers with borderline personality disorder and the neurobiology of parenting disturbance.